Dedicate yourself to the fundamentals–the times will come. It is no secret that the best swimmers in the world also have the best technique. When you watch these athletes on TV, it seems as if they are moving effortlessly through the water with no flaws in their stroke. Yes, it is true these athletes are incredibly talented and work very hard. However, what you should know is they set themselves up for success. What separates these athletes from the competition is their continued dedication to mastering the fundamental skills that were first taught to them as age group swimmers. The best swimmers in the world are immensely inquisitive. They are constantly looking for opportunities to learn by watching countless videos of other swimmers and speaking with many coaches and swimmers. They are always looking to be more efficient and powerful in the water. Did you know that most members of every American Olympic swimming team were never National Age Group record-holders? Many didn’t begin to show signs of elite-level racing ability until they were in the 17&18 age group or college. At the age group level, these athletes remained dedicated to learning perfect technique and making it as close to second nature as possible. David Marsh has coached 47 Olympians from 19 different countries. 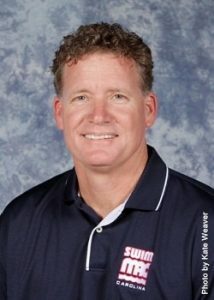 He was the former CEO/Director of Coaching at SwimMAC Carolina in Charlotte, N.C. Prior to joining SwimMAC he was the men’s and women’s swimming coach at Auburn University and won 12 NCAA Division 1 titles. To date, Marsh has led SwimMAC to three consecutive USA club excellence championships. There are many aspects of technique that a swimmer can focus on to improve their swimming. While you may be aware that the best swimmers in the world have near-perfect technique, did you know that most also take fewer strokes per length? As technique breaks down during a race, most swimmers rely on taking more strokes to go faster. However, the top-level athletes are able to maintain perfect technique and a consistent stroke count throughout the entire race. The ability to know what your stroke count should be per length is a great way to measure if you are maintaining the best technique possible, especially when you are getting tired. So how do we teach this skill to young swimmers? Ash Milad, former co-head coach of KING Aquatics in Seattle, Washington was the 2013 ASCA Age Group Coach of the Year for the Pacific Northwest Swimming LSC. 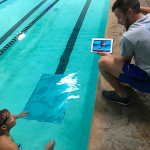 Milad has introduced a skill called “Stroke Count and Fast” that has helped him teach swimmers how to hold their best technique while maintaining their speed – all while receiving great quantifiable feedback on whether their technique is falling apart. “The easiest way, in my opinion, is to teach swimmers to keep a lower stroke count while still holding their goal training times. The idea is to make sure they achieve their goal time in practice AND sustain that speed for multiple repeats, all while having the best technique possible, ” Coach Milad says. For example, if a swimmer has a goal time of 2:06 in the 200 yard breaststroke, Milad wants that swimmer to be able to repeat five or six 50’s from a push in practice under 31.5 seconds or faster while holding perfect technique and stroke count. For a male teenage swimmer, Milad would expect him to be able to hold five strokes per length along with perfect technique while swimming faster than his goal pace. If the swimmer is able to hold a specific time while maintaining good technique and a low stroke count, he knows that they will be able to maintain this speed at the end of a race. If they are holding a time but taking a flurry of strokes and not thinking about swimming with perfect technique, that’s a good indication that the athlete will not be able to maintain his speed in a race for very long. 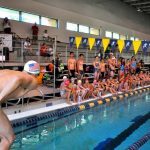 Perhaps the most important aspect of “Stroke Count and Fast” is that it begins to teach young athletes that there is more to swimming than just “times.” Going fast times is always exciting, but each swimmer must be using the best technique possible to achieve those times. So the next time you are doing a hard set, instead of using “time” as the only metric, you can now ask yourself, “how fast did I go AND how many strokes did I take?” This will give you some great feedback as to whether or not you are maintaining good technique during your practices by staying engaged. Do as the best swimmers in the world do: become a student of the sport and train smart. 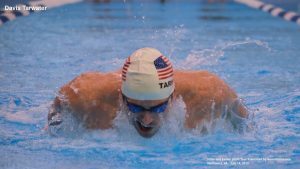 As you begin to get comfortable with holding perfect technique–a low stroke count and swimming fast–it will start to become a habit. Over time, you will realize you have taken your swimming to a whole new and exciting level.